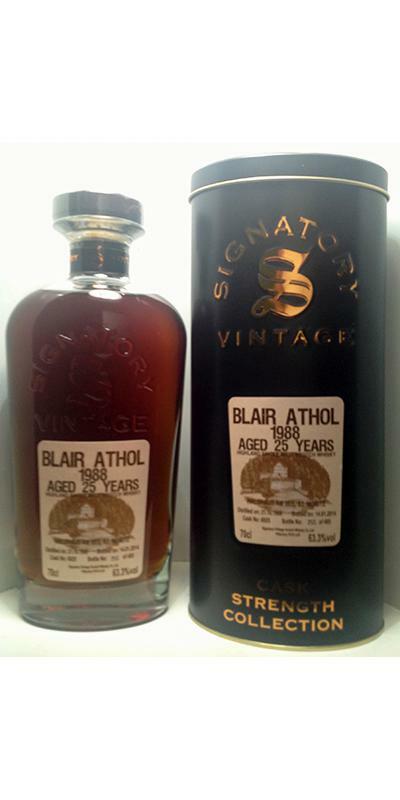 Blair Athol 25y / 1988 / 63.3% vol. 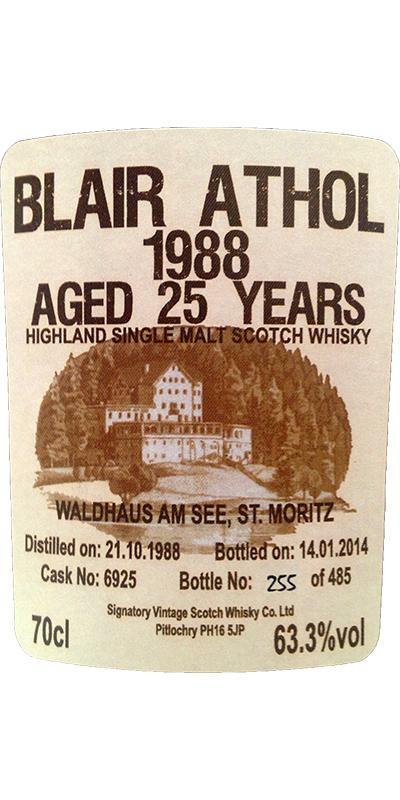 Waldhaus bottling - Barrel: 6925 - my notes Nose: - Sherry and dark fruits. Without water, it is a bit too alcoholic. After the addition of water will be interesting! Wet leather followed by gunpowder. 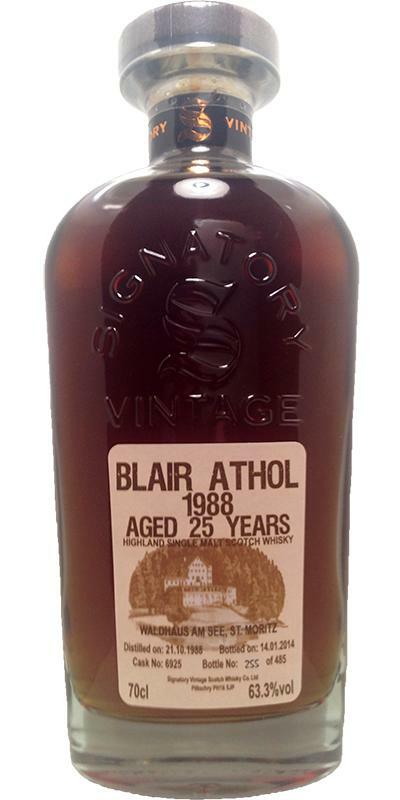 Sulphurous ... the longer the malt is in the glass, the more the dark fruits come back. Raisins and figs. Honey nuts mixes. Oak flavors come through. Mouth: - strong, hot! Fruity and sweet. Just before swallowing, the gunpowder comes back. Very special ! Finish: - long! Oak, old leather and furniture polish. Warming up to the end! Conclusion: - A malt, which I did not know until now. Also similar to me is not found so far. Personally, I find that extremely exciting! I like it very much!